Cloud computing has drawn much attention from research and industry in recent years. Plenty of enterprises and individuals are outsourcing their data to cloud servers. As those data may contain sensitive information, it should be encrypted before outsourced to cloud servers. In order to ensure that only authorized users can search and further access the encrypted data, two important capabilities must be supported: keyword search and access control. Recently, rigorous efforts have been made on either keyword search or access control over encrypted data. However, to the best of our knowledge, there is no encryption scheme supporting both capabilities in a public-key scenario so far. 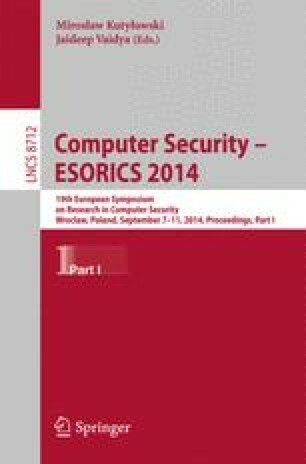 In this paper, we propose an authorized searchable public-key encryption scheme supporting expressive search capability and prove it fully secure in the standard model.